Nuala Woulfe Beauty: Free Radical! What are they? Free Radical! What are they? 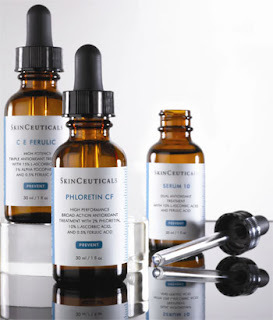 We hear about free radical damage in relation to skin ageing and health and wellbeing. So what is a free radical, why is it so awful and what can we do about it? In science talk, free radicals are molecules with unpaired electrons. Their quest to pair with another electron sends them on a rampage in a very reactive state and causes damage to surrounding molecules. Also known as reactive oxygen species, they are everywhere: in the air, our bodies and the materials around us! Although they aren’t always bad – as they are used by the body to kill unwelcome bacteria and bugs – free radicals make us look older and less healthy by causing direct damage to DNA, inflammation, and degradation of collagen, all of which lead to obvious physical photo-ageing of the skin. So we need free radicals. However sustained free radical attacks do not just damage the skin, they have also been linked with cancers, diabetes and heart disease. The problem occurs when the production of free radicals outstrips our cellular antioxidants, which safely deactivate potentially damaging oxidizing agents from our body. Unfortunately for us, free radicals are generated as a by-product of our environment such as from UV radiation, pollutants and chemicals that are foreign substances to the body. City dwellers are often said to look less healthy than people who live in the country. Smoking /ill health etc also cause free radical damage. But there are products out there to aid your fight against free radicals! The aim is to replenish the body with the antioxidants it needs to combat free radicals! Glutathione, L’ ascorbic acid (a type of Vitamin C), Vitamin E and ubiquinol are all naturally produced by the body, but contrary to some of the beauty industry say, when topically applied most cannot be absorbed into the skin! When purchasing a product claiming to fight free radicals, take note: they have to be stable in the bottle as many are broken down by exposure to light, they must be able to be absorbed into the stratum corneum (the outermost layer of the skin) and concentrated enough to be effective . I have personally seen the improvement in clients skin when using a powerful antioxidant such as this several times over, and I am really happy with this product myself.